Become a regular saver. The financial services love and trust regular savers the most. So it pays to set up a monthly payment schedule by direct debit into a savings account. And whenever you get a pay rise or pension increase, remember to increase the amount you save. To work out how much you can save, keep an eye on the money you spend each month with a budget diary, then set a budget that covers all the essentials and look how much is left. Build up reserves. Stock up for the apocalypse, but instead of baked beans and bullets, make it three to four months of income for a ‘rainy day’ that you always know you can draw on in emergencies. Set Goals. Life is easier when you set goals, and savings are no exception. Set realistic targets, like paying off a holiday or saving for a new car, and stick to them. Mark them off in your budget diary. Retirees may find it easier to achieve their goals if they base themselves somewhere that allows them to stretch their finances further. Newspaper supplements and travel sites are a good place to find advice. Know what the taxman expects of you. In the United States, the Internal Revenue Service considers interest earned in a savings account to be taxable income. Taxpayers are required to submit a 1099-INT form to the IRS when they file their tax returns. This form details the amount of earned interest on accounts held during the prior year. Certain types of retirement accounts, such as individual retirement accounts, allow interest on savings to accrue tax-deferred. Tax compliance can be a complex process so it could be worth your time and money employing the services of an accountant or financial advisor. When it comes to paying tax, mistakes can be costly, even life-changing. So it wise to know where you stand. Do your research to get the best deals. There are countless options out there, and it pays to be informed. Consult money comparison websites. Accounts operated on the Internet or by phone banking only offer the best rates. Many ‘best buy’ prices are inflated by temporary bonuses paid for anything from 3-12 months. Exclude those where the bonus lasts for less than a year. Now, check what access the account offers. Fixed notice and fixed term accounts pay more, but that is no good if your money is beyond reach when you need to access it. 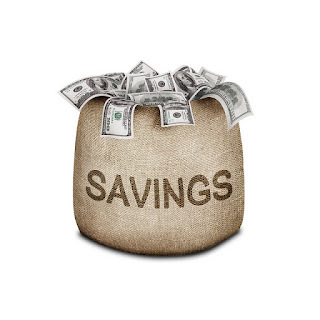 So be sure that enough of your savings are accessible in an emergency. Make sure you know you can trust where your money is. No investment is worth sleepless nights, so remember not to put your money with providers you don’t know or don't trust The adage if it looks too good to be true, it probably isn’t, applies to all walks of life and savings and investments are no different. Shop around. Consult other investors. Run background checks on providers before trusting them with your life savings. And if you have any doubts at all, consider employing the services of a financial consultant.